Premise- Four contestants compete in a series of three rounds via Skype and answer opinion poll questions based on a survey of specific groups (i.e. men in their 30s, married women, secretaries). In the first round, questions are worth $100, $200, and $300 and contestants will have to choose from two possible answers. In the second round, questions are worth $400, $500, and $1,500 and contestants will have to choose from three possible answers. In the third round, questions are worth $2,000 and $5,000 and contestants will have to choose from four possible answers. In an event of a tie, the contestants involved in the tie will compete in a “Dash For Cash” tiebreaker. In the tiebreaker, contestants will have to race through their house to find a specific object and perform the assigned action with that object. The last contestant to complete the challenge will be eliminated. After each round, the contestant with the least amount of money will be eliminated. The winning contestant will advance to the bonus round and will answer one final question with four possible answers. Prior to the question, the contestant will have wager any or all of their winnings. If the contestant answers the question correctly, they will win the additional, bonus money; otherwise, it will be subtracted from their score. If the contestant decides to go “all-in” and answers the question correctly, they will multiply their winnings times five; otherwise, they will win a $1,000 consolation prize. The maximum amount a contestant can win is $50,000. Let’s Ask America is doing what Are You Normal, America? should have done with their format. A multiplayer format on any game show will always outdo a solo player/team format, especially since television has, for the most part, exited the era of Millionaire-like shows. The competing contestants on the show makes it more entertaining and interesting to watch. Additionally, I was very surprised that the show added a live studio audience instead of using a laugh track considering the show’s premise and setup. The presence of the studio audience definitely brings more life to the show. The gameplay is above average and solid, and although the idea of contestants competing via webcam is not a completely original concept (not referring to GSN’s revival of 1 vs. 100), the show is still unique with its own mascot and creative tie-breaker round. While it may seem like the gameplay is just average and generic compared to other game shows today, the surprisingly high stakes for the second half of the show gives the gameplay an extra boost to give the viewers a reason to stay tuned. 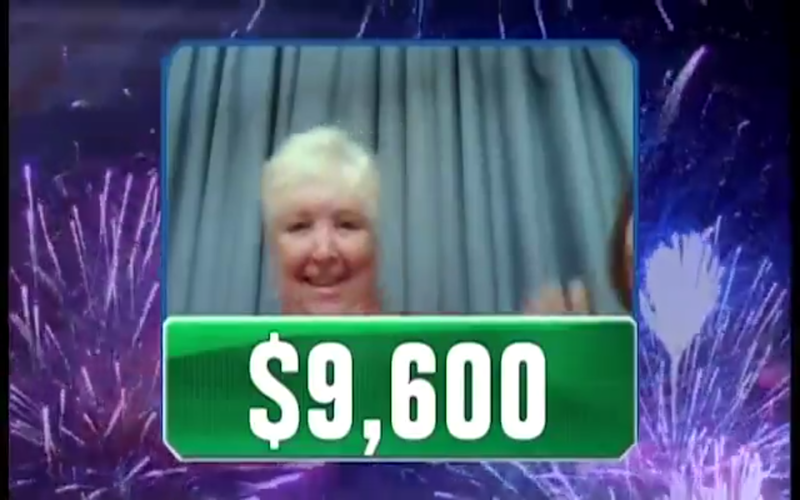 As with inclusion of the studio audience, I was equally shocked to see the top prize capped at $50,000. For a show like this, I thought the contestants would be vying for a top prize of $5,000 or $10,000. Nevertheless, the high stakes and high risk factors are a very nice touch. As far as the host is concerned, Kevin Pereira is doing a good job as the show’s emcee thus far by interacting well with the contestants as well as running the show at a consistent pace. Kudos to the producers for selecting a good candidate for this series. Pereira was entertaining and amusing while hosting G4’s Attack of The Show and he brings the same demeanor to Let’s Ask America. My only issues with the show are its viewers ratings and lack of variety with the questions. I have noticed a lack of variety when it comes to both Let’s Ask America and Are You Normal, America?. 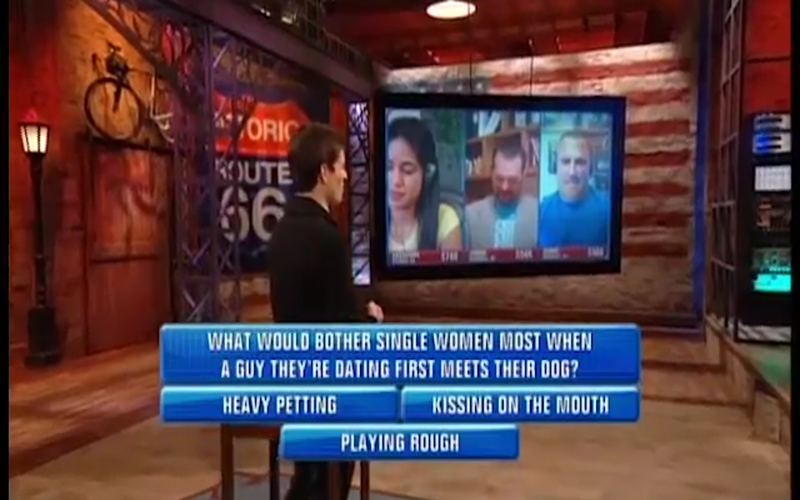 Although the latter had the “Poll Posse” segments, both shows could have done more with the questions such as a guessing how many people out of a 100-person survey responded to a certain question or asking the contestants whether more than or less than five people had given a specific response out of a 10-person audience poll. With the viewer ratings, I am only slightly concerned. Although this show is available in limited number of markets, I believe more markets and stations will pick up Let’s Ask America providing that there will be a second season. Overall, Let’s Ask America is good, solid game show that is fun to play along and surprising in more ways than one. The cash at stake is impressive and quite generous given the show’s simple format. I love the innovation the show exhibits by becoming the first game show to have all of the competing contestants playing at home via webcam, albeit it’s not completely original. The three factors that will give this show a boost are the physical presence of the contestants, the show’s availability in more cities and networks, and more question variety. Aside from that, I strongly suggest you check this show out and give it a chance. You can watch excerpts of Let’s Ask America on the show’s YouTube page. Watch new episodes of Let’s Ask America on your local station!! Check your local listings.